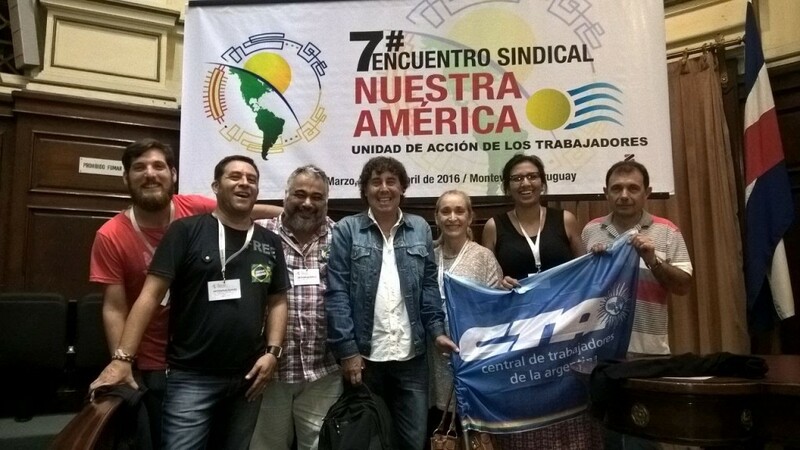 The 7th “Our America” Trade Union Meeting (ESNA, in Spanish) took place in Montevideo from March 31st to April 2nd, and was attended by more than 300 national and foreign delegates from around 30 countries, including Argentina, Brasil, Honduras, Costa Rica, Paraguay, Chile, Guatemala, Puerto Rico, Peru, Mexico, Haiti, Colombia, Cuba, Panama, Venezuela, El Salvador, Uruguay, Japan and the United Kingdom. More than 80 trade union organizations were present aimed at strengthening the workers’ movement unity. 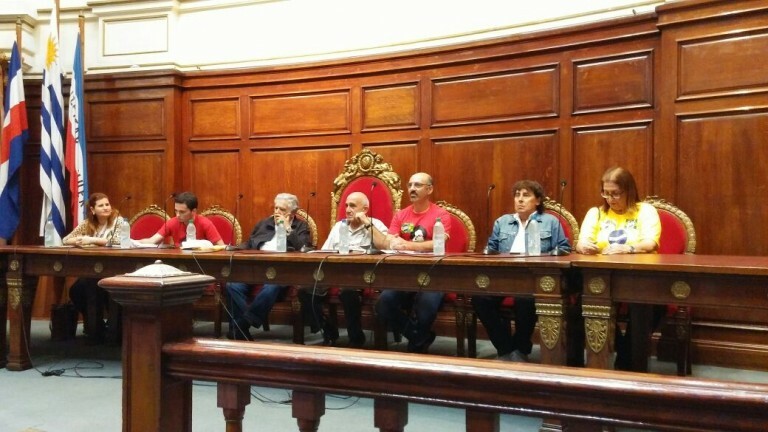 Trade Unions and social organizations from five continents participated, in an attempt to define the action needed to break the global capitalist system and to promote exchange and international solidarity. The opening ceremony was at 20 hrs, local time, at the University of the Republic, and was attended by the Uruguayan ex-president, José Pepe Mujica. The work sessions were divided into three commissions in which the main topics of discussion were the imperialist onslaught against the working class – in particular the capitalism’s attack on the right to strike and the criminalization of social struggle. 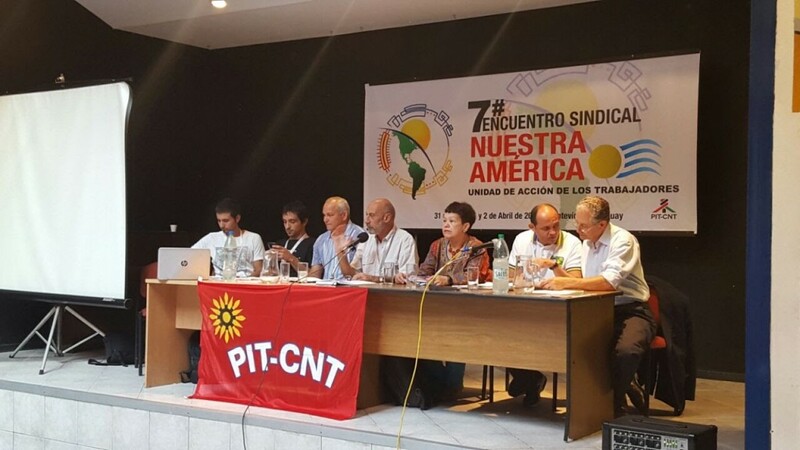 During a previous meeting the Coordination Group for ESNA had on the 31st, the National Coordinator for the PIT-CNT (Intersyndical Plenary of Workers – National Convention of Workers, PIT-CNT, in Spanish), Marcelo Abdala, announced a general strike in Uruguay on April 6th.